Fly east from Lima or Cuzco to Puerto Maldonado, situated at the confluence of the mighty Madre de Dios and Tambopata Rivers. It is a bustling, tropical frontier town, and its principal activities are gold mining, Brazil nut collecting, timber extraction, agriculture and ecotourism. 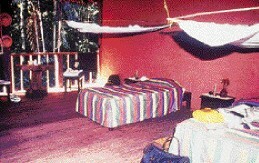 Posada Amazonas, jointly operated by Peruvians and the Ese'eja Native Community, has 24 rooms with shower/baths, hot water. Both a naturalist and an Ese'eja Native accompany all jungle excursions. The reserve is noted for Harpy Eagles (the world's most powerful bird of prey), river otters, parrots, macaws, and mineral clay licks, as well as a 35 meter tower for observation. 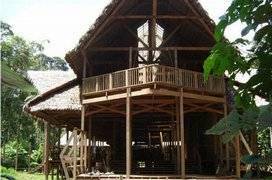 Opened in 2005, this is the latest addition to Rainforest Expeditions' Tambopata portfolio. 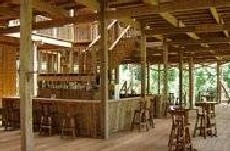 As a charming 24-bedroom lodge, it is well-placed on a 200-hectare private reserve on the buffer zone of the Tambopata National Reserve. 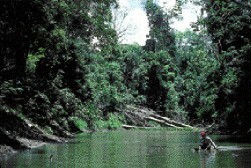 Rainforest Expeditions' Tambopata Research Center (TRC) is located deep in this reserve, providing a unique opportunity to know the untouched, virgin forest. After arrival in Puerto Maldonado, it is a two and a half-hour boat ride from the Tambopata Port, passing the Tambopata National Reserve's checkpoint and into the buffer zone of this 1.3 million hectare conservation unit. 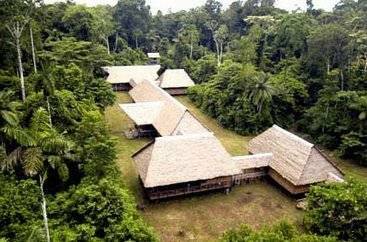 Refugio Amazonas has no electricity. Numerous kerosene lamps and candles provide light. A generator is turned on once a day to recharge batteries for guests or lodge facilities. The rooms are 7 x 4 meters so they can comfortably hold three beds, although most are set up for two. 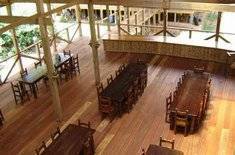 The walls dividing each room are built of cane, and extend from the floor to about 2.5 meters height making each room private. The side that looks out to the forest does not have a wall or screening of any kind, acting as a large window facing the forest. The reason for this unprecedented design is because mosquitoes are not really a problem around the lodge clearing, and the open section allows for an intimate contact with the rainforest. A second, small window on the opposite side, set up very high, keeps the rooms well-ventilated. Each room has a cold water private bathroom, and rooms are not soundproof. 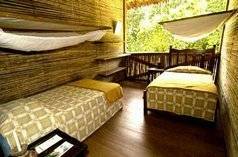 Doors are replaced with drapes and each room has beds, mosquito nets, bedside tables and hammocks or lounge chairs. 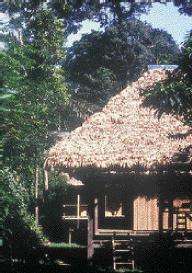 The remote Tambopata Research Center lies several more hours journey by boat from Posada Amazonas, and adjoins the Tambopata Candano Reserved Zone. 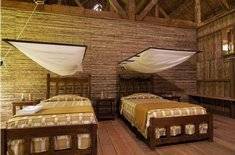 There are 13 rustic yet comfortable rooms with mosquito netting and community bath facilities. 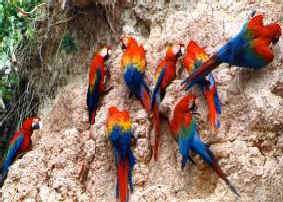 Primarily a research center, guests are a welcome vehicle for researchers to show off the largest known macaw clay lick (see below), over 25 macaw nesting sites, and some of the largest bird populations in the tropics. The January 1994 issue of National Geographic features an article on the Research Center. Safaris include: Round-trip airfare Cuzco to Puerto Maldonado, round-trip airport transfers in Puerto Maldonado, all meals, bottled water and non-alcoholic juice, nature trails, and your choice of excursions. Not included: Soft drinks, alcoholic beverages, gratuities and airport tax. Note: These packages are priced as extensions to one of the Peru programs from Cuzco. If originating in Lima, additional charges will apply.